1st win-16th career start in April, the Southeastern 500 at Bristol. Dale Earnhardt expands his own Winston Cup Teams, DEI, by purchacing the rights to the #8 from the Stavola Brothers. The #8 was the number used by Dale's Father, Ralph Earnhardt. He now owns two, the #1 and the #8. Dale Earnhardt's 25th Anniversary of Racing. Aug 15, 1999 at Watkins Glen Earnhardt made his 600th consecutive Winston Cup start. In his career he has only missed 4 races in 1979 due to injuries from an accident at Pocono. 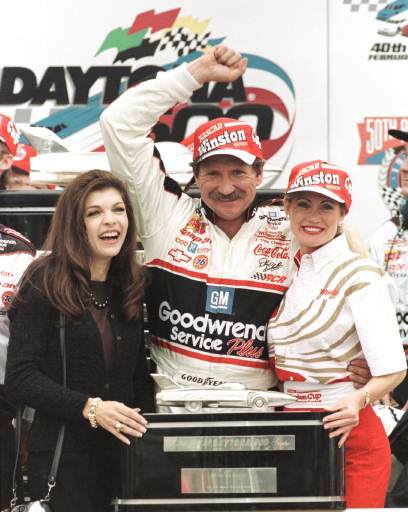 In 43 Winston Cup Starts at Daytona, Earnhardt has 33 top-ten finishes.